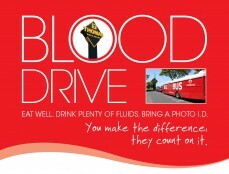 Connect-Employee Updates | Thomas Sign & Awning Co, Inc.
Thomas Sign continues to partner with OneBlood to host regular blood drives. All blood collected during our drive will be distributed to local hospitals within Pinellas County. It’s our way to give back to our local community. It’s so simple to give. The Big Red Bus will arrive at 9:00 – 2:00 at our Clearwater location. Sign up sheets have been posted at the time clocks. We are kicking off our annual food drive benefiting the St. Petersburg Free Clinic. Thomas Sign employees are invited to donate non-perishable food items in support of this amazing organization. Contact the marketing department for more information. Thomas Sign is collecting new, unwrapped toys for the Pinellas County Toys for Tots fundraiser. Share the gift of giving by sending a message of hope this Christmas through the gift of a new toy. Help bring toys to children everywhere and make their Holiday Season a bit brighter. Thomas Sign and Awning is committed to providing a safe and healthy work environment for its employees, contractors, customers and visitors. 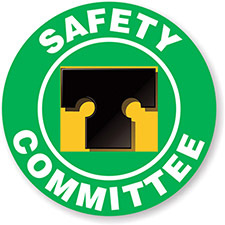 Our safety vision is “all incidents are preventable and by working safely all employees will return home from work in the same condition that they arrived.” The TSA Safety Committee meetings are held on the third Wednesday of each month in the main conference room. For more information about safety, and how you can contribute, please contact our Safety Officer at extension 303. 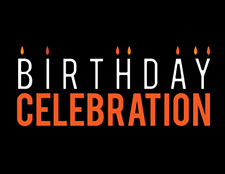 Don’t miss the Employee Birthday Celebration held the first Friday of every month. Check the bulletin boards for the time and location. Join us for sweet treats and wish your coworkers a Happy Birthday! Keep your eyes open for the next edition of The Sign Post, our company newsletter. Read about new industry technologies, new projects, employee accomplishments and much, much more. Our newsletter can be found next to the time clock in March, June, September and December. To learn how you can contribute your articles and ideas, stop by our marketing department. Get involved and be a part of our news team.